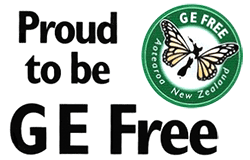 GE Free NZ is concerned about the lack of objectives, policies and rules governing the use of GMOï¿½s in the proposed Natural Resources Plan of the Greater Wellington Regional Council. This omission fails to reflect community and farmers concerns, including many whose livelihood relies on arable farming, horticulture and forestry. "Other councils have already considered the risks posed to their regions given mounting evidence of unknown and unexpected biosecurity risks posed by GMO activities. Wellington needs to follow that lead," said Claire Bleakley, president of GE Free NZ. "There are also concerns how the Regional Council should approach the significant sites, natural and farmed, that would be affected by GMO activities within the region." The Remutaka and Tararua and all Forest Parks, are significant recreational and tourist attraction for the whole region. The Wairarapa Moana is the most significant wetland in the south of the North Island and is a sacred water body for Maori. The ï¿½Macaskill Lakesï¿½ (Te Marua) are vital for providing potable water for the Greater Wellington Region. These sites would be jeopardized by the release of GMOs to the environment. The Far North District Council, Whangarei District Council, Hastings District Council, Auckland Unitary Council, and Northland Regional Councils have all reached decisions to contain precautionary provisions regarding GMOs in their local planning documents. Federated Farmers of New Zealand challenged these provisions in the Environment court, the High Court and eventually the Appeal Court. All courts ruled that local councils have the power under the Resource Management Act 1991 (ï¿½RMAï¿½) to control the use of GMOs via their local planning instruments. The RMA, on the other hand, enables authorities to provide for the use and protection of resources ï¿½in a fully integrated fashion, taking into account regional needs for spatial management that might differ around the country for many reasonsï¿½. ï¿½GE Free NZ hopes that the GWRC will adopt these precautionary recommendations. It is particularly important to achieve continuity in the management of GMOs through regional and district policy and plans throughout New Zealand,ï¿½ said Claire Bleakley. NZEnvC 159 (EC), at paragraph . Federated Farmers of New Zealand v Northland Regional Council  NZEnvC 159 (EC).